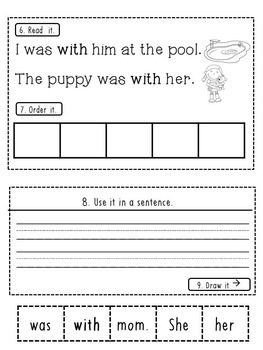 This set is a great way to start the year in any kindergarten, first, or second grade classroom! 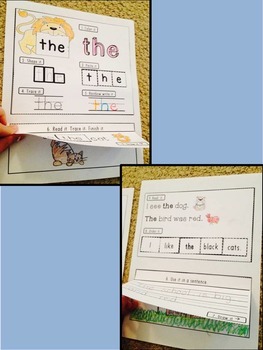 It gives students a variety of ways to practice their sight words and it is easy to color, cut, and glue! The pack is all set for you to use for the first 100 Fry words. It also comes with two versions! 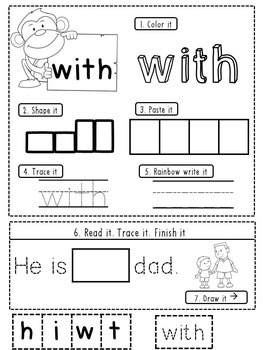 You can use the one page version or use the two page version for easy printing AND it comes with a template for each page to glue onto or you can you it in a regular lined notebook! It comes with a 3 covers to choose from for your convenience. Download the preview for a few examples of words. OR... Buy the Fry Words Ultimate Bundle (First 100 Words) Here! and SAVE 2.50. 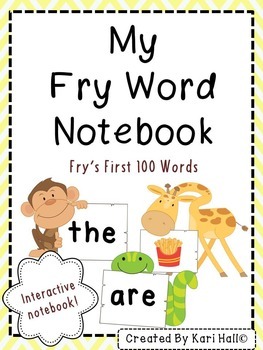 This bundle gets you both Phantasmagoria (First 100 Fry Words Edition) and the Fry Words Interactive Notebook (First 100 Fry Words Edition)! Thank you for shopping at my store! Please come back and visit. Remember to leave feedback for TpT points to use on future purchases! • Log in. Go to your My Purchases page. Next to each purchase you'll see a Provide Feedback button. Simply click it and you will be taken to a page where you can give a quick rating and leave a short comment for the product. This is incredibly beneficial to me and greatly valued as I take all feedback very seriously!